Our last stop of our trip was in Goa. Right the first day, we stepped out of the airport I noticed flock of huge birds in the sky and they where everywhere else to be found as well, but in Goa I finally had the time to sneak by and take some shots not without fretting about leaving my big lens in Germany. 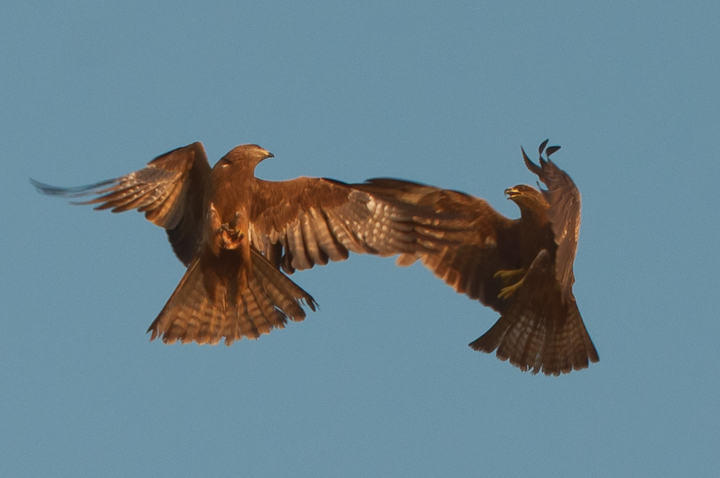 Anyway here you can see two young black kites practicing some dogfight maneuvers.